Purchase includes score and two violin parts. J. J. F. Dotzauer (1783-1860) was a celebrated cellist and composer. He is best known today for his etudes and solo compositions for cello, but he also wrote numerous chamber works, concerti, and solo works for many other instruments. The three Duos Concertants of Opus 44 were published ca. 1822 and never reissued. No. 3 in B Minor is a virtuoso work for two equal players. 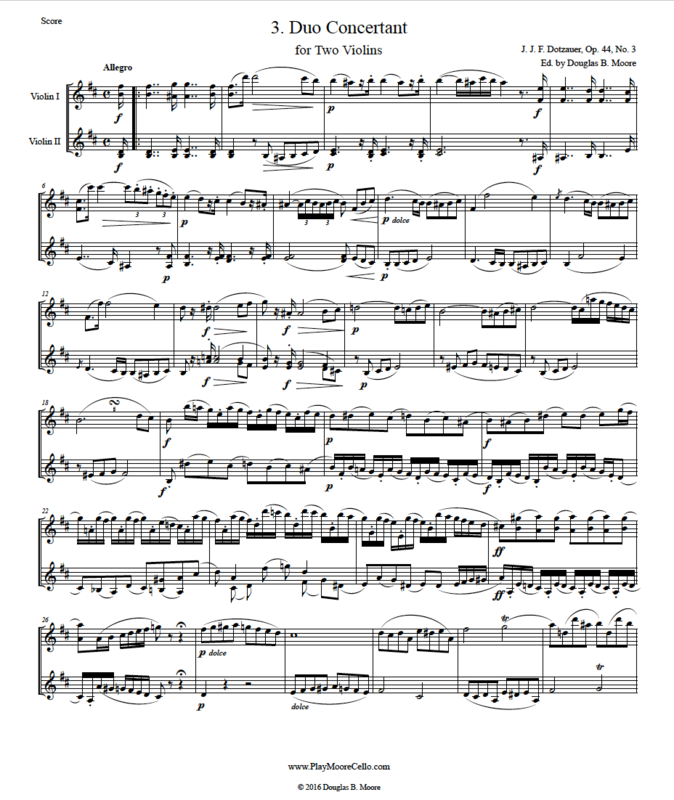 The first and third movements are in sonata form and the second movement is a Romance. This piece can be purchased as part of a three-pack of Dotzauer editions. Click here to learn more.